ADD UPDATE, 25 September 2017: Eastleigh Borough Council’s plans to build 5,200 homes and a major new road on green fields in the north of the borough is sparking an increasingly hostile rebellion amongst local Liberal Democrats. Already two Eastleigh Lib Dems have quit and now a leading Lib Dem from across the border with Winchester has joined the fray. In a strongly worded letter, Richard Izard, a Winchester City Councillor representing nearby Colden Common and Twyford (pictured above), has told every Eastleigh council member that the planned development north of Bishopstoke and Fair Oak, its preferred choice for its emerging Local Plan, will be torn to shreds by a government planning inspector. Amongst a litany of reasons, Izard accuses the council of contravening national planning guidelines for an evidence-based Local Plan, warns that the development could see Eastleigh council fall foul of a new global initiative to keep skies dark and natural, and reveals that a colony of the ultra-rare Barbastelle bat is at risk. The bats like wooded river valleys just like the nearby River Itchen which has international protection. They’re also very sensitive to disturbance and are rated as one of the UK’s rarest mammals. The schemes have already produced outrage from conservationists such as the Campaign to Protect Rural England, Friends of the Earth, the Woodland Trust, the Angling Trust and TV naturalist Chris Packham. Separately, Izard reveals that Eastleigh council, which prides itself on keeping down its taxes, is spending more than £1,000,000 on consultants in its attempt to persuade the planning inspector of the viability of a plan that many believe is simply undeliverable. Hear, hear! Let’s hope the council heeds this wise advice before vast quantities of egg head towards its face. 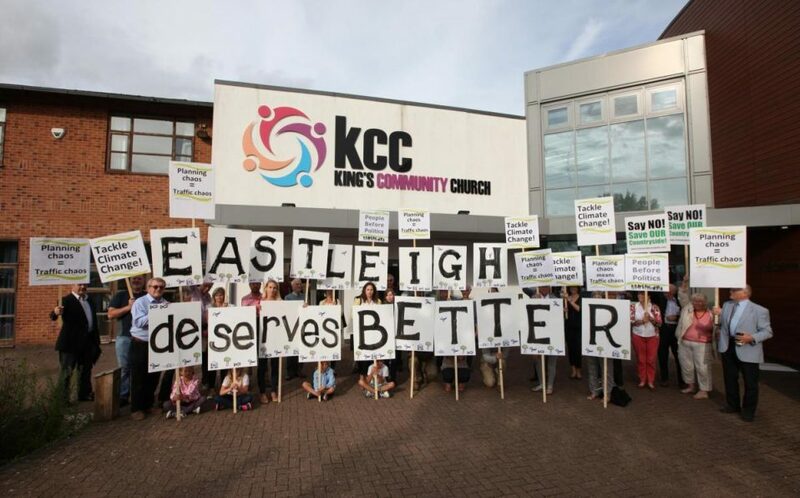 To read Councillor Izard’s letter to all Eastleigh councillors, click here.